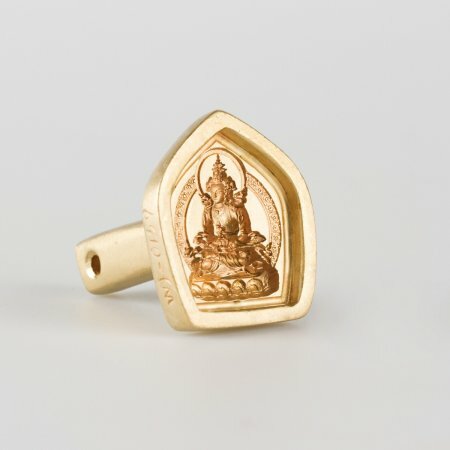 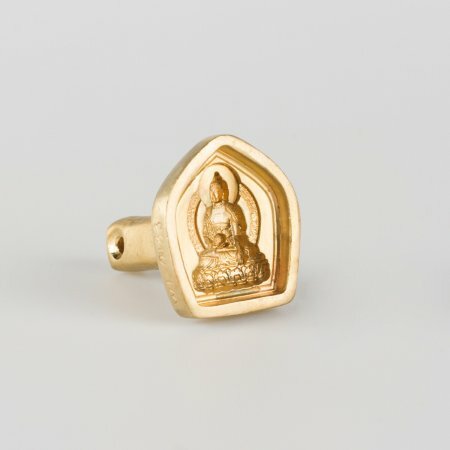 Traditional Tibetan bronze mould Tsa Tsa: Buddha Amitabha, tiny size: height — 3.5 cm, width — 3 cm. 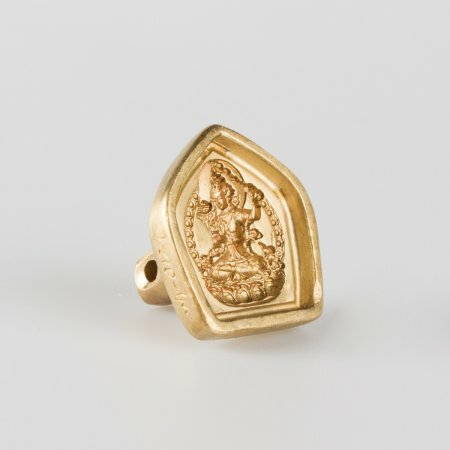 Traditional Tibetan bronze mould Tsa Tsa: Manjushri, Bodhisattva of Wisdom, tiny size: height — 3.2 cm, width — 3 cm. 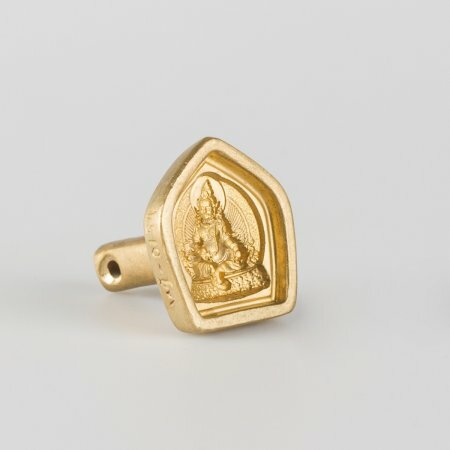 Traditional Tibetan bronze mould Tsa Tsa: Jambhala (or Zambhala), the God of Wealth, tiny size: height — 3.3 cm, width — 3.2 cm. 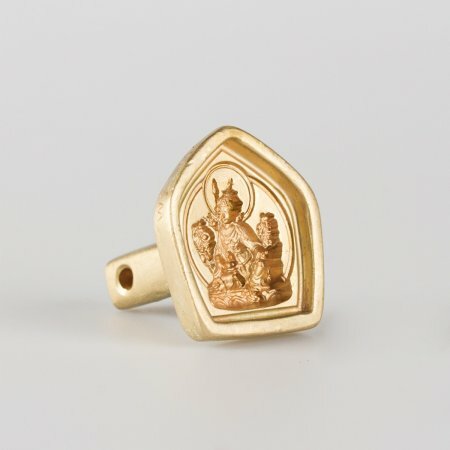 Traditional Tibetan bronze mould Tsa Tsa: Padmasambhava aka Guru Rinpoche, tiny size: height — 3.3 cm, width — 3 cm. 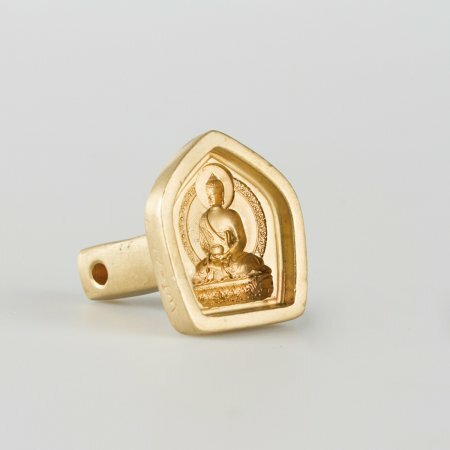 Traditional Tibetan bronze mould Tsa Tsa: Amitayus or Tsepakme, the Buddha of Boundless life, tiny size: height — 3.3 cm, width — 3 cm.